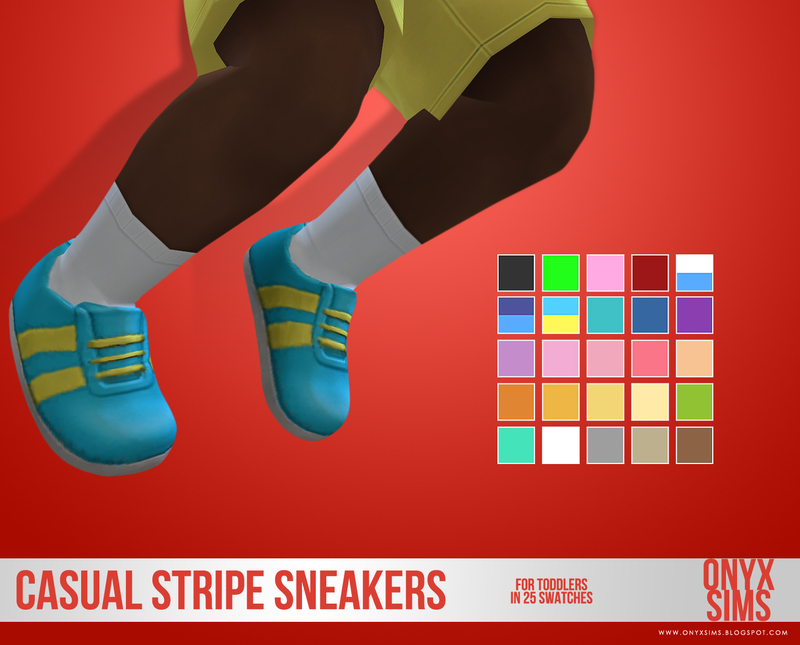 While the shoes themselves remain the same for the most part, the uv map has been updated to work properly with weight sliders. I also included the toddler version as well. The 25 swatches are still the same. 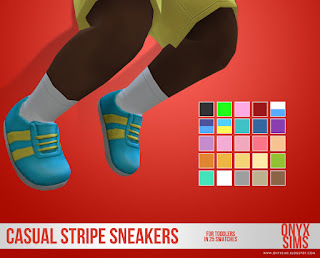 Base game compatible casual stripe sneakers for your little ones. They come in all original swatches with some extra colors by for a total of 25 swatches. 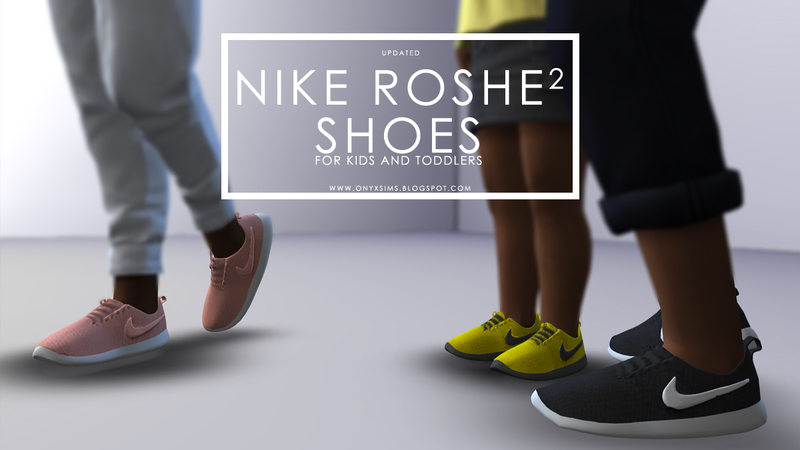 I included a .psd white diffuse for anyone who wants to recolor, find it here. Updated 1/13/2017 using Harmony 3.0.0.7 to fix issues with toddler arms. Did you need more denim choices for your newest addition and in a slimmer fit? 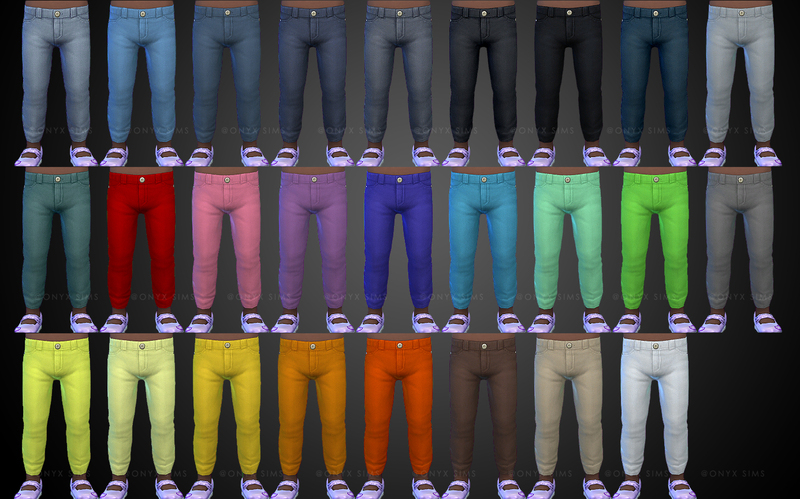 Ah, well here are 27 options all in Maxis Match textures. This is a new mesh, but it requires that your game be updated to the most recent patch to work. If you have any issues, please send me an ask here. 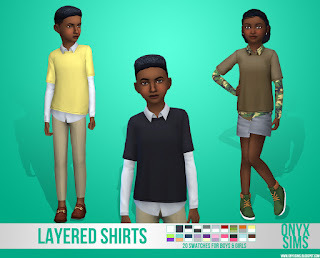 This shirt was inspired by KK's Sims 4 who made a shirt like this for men over a year ago. 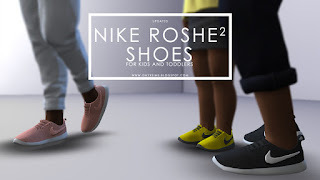 I really wanted something like that for kids, so here it is. It's a frankenmesh of 3 different EA meshes. 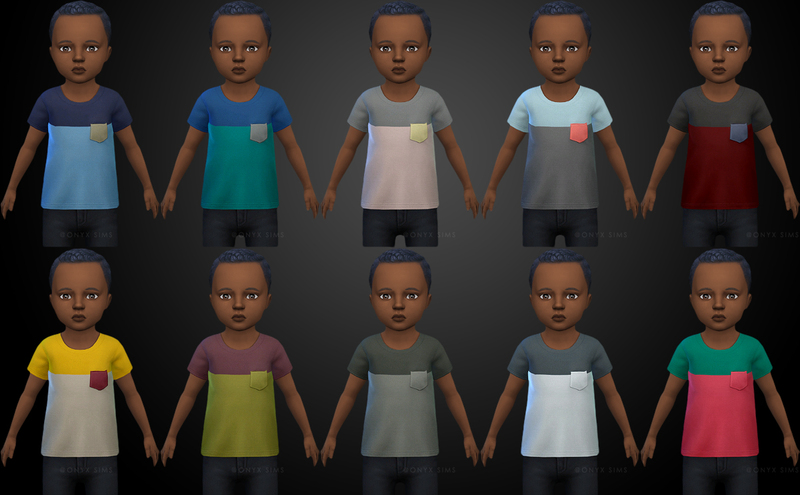 The shirt comes in 20 solid color swatches with all LoDs replaced. Feel free to do recolors, just don't include the mesh and link back to this post in case of an update.